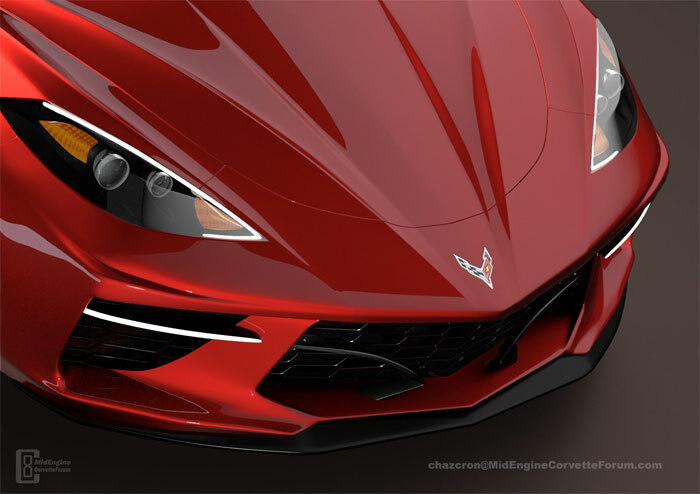 The guys behind the C8 mid-engine Corvette renderings are stoking the fires again with some new images and a video. 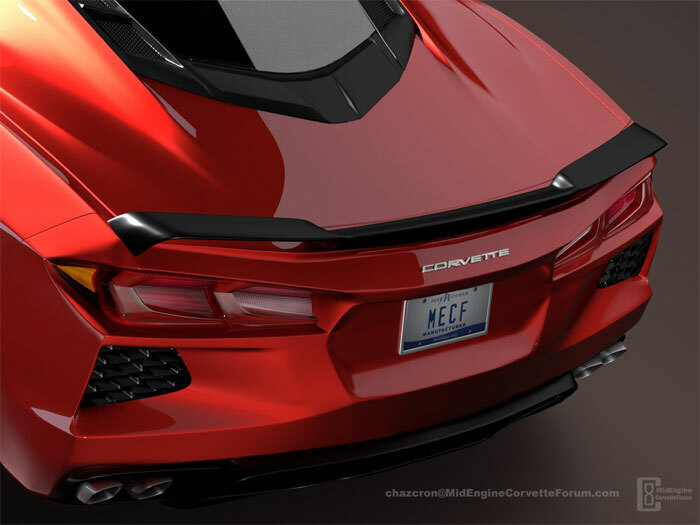 The following renderings come from MidEngineCorvetteForum.com user Chazcron. We’ve featured his renderings before, and they look fantastic. The new renderings give us a look at the car from a few different angles, including a close-up view of the front end and front bumper in a video. In the video, the shot pans across the entire front end of the car, giving you a look at the whole thing. At the end of the video, the headlight turns on for a few moments before it turns off again. 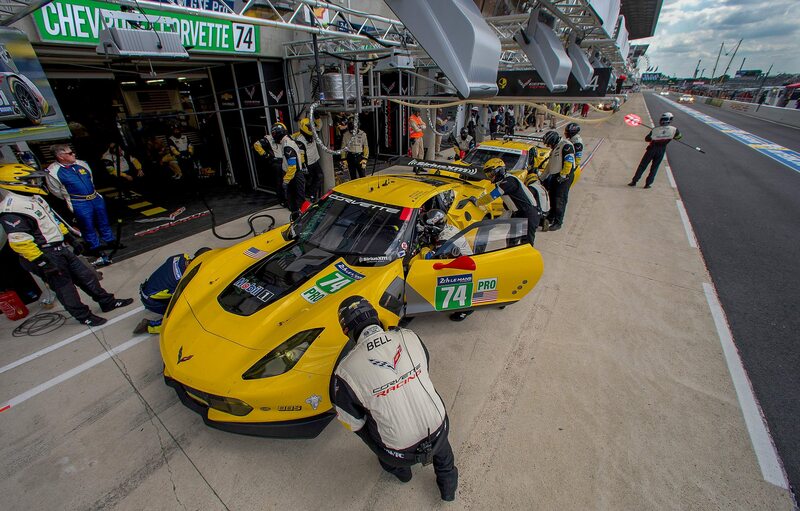 It’s a stunning look at what could very well be the C8 Corvette. The renderings are just that good. The shots vary a little more. There’s one of the front end looking down, another of the rear end from the same angle, and then a profile shot and two three-quarter shots. Basically, you get a look at the car from all angles. We have to say if the actual production model looks like this car, we’ll be pretty impressed. Chazcron’s renderings are detailed and the cars in them well-proportioned and attractive. With the relatively low number of sightings in the last week or so of the actual cars out testing, this is the best you’re going to find in terms of the C8. 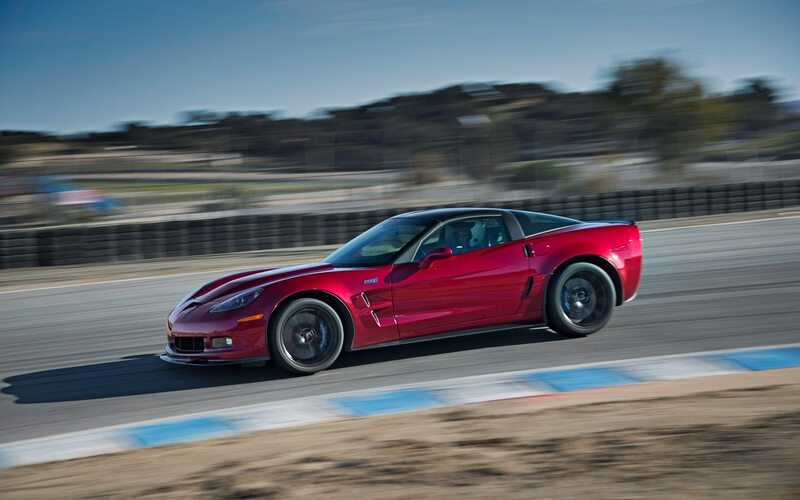 Chevrolet has still not set a date for the car’s official reveal, though it should appear later this year as a 2020 model.